Good Morning and Welcome to the Wonderful World of Wizards Blog Hop. We also have a Jaded Blossom Mini Stamp Release Today. Woo Hoo just hoping along the Wonderful World of Wizards Blog Hop... Can't wait to see all the fun. Wow, what an exciting blog hop. Thanks again! !And I love your stamps..
What super adorable stamps!!! LOVE HP!!!! Looking forward to an awesome hop!!! Have a GREAT Friday JB!! Hop, hop, hop. I love it! So looking forward to this hop! Love the new stamps! They are so cute! Love the theme...gotta get hopping. !! The new stamp set is awesome! Love this hop,..
Love your new stamp sets! I'm new to your sight and can't wait to hop back over and check it all out! Have a great day! Can't wait to see everyone's projects. Off to hop. What cute stamps! I can't wait to hop! woohoo what fun! cant wait to see what everyone has created. This is going to be a fun hop! Cool I love blog hops, can't wait to check everybodys projects out. This was an awesome hop!!! Can't wait to see all the amazing creativity!!! So excited for this hop! My sister and I are the biggest HP fans ever! Love the mini release! Can't wait to make Hogwarts treats! Thanks for the wonderful hop/files, everyone's ideas were wonderful!!! Cute stamp set and cutting files wow makes me really want a silhouette !!! Whoop whoop! Time to go hopping. Super excited!! My daughter LOVES HP!! It was a super fun hop!!! 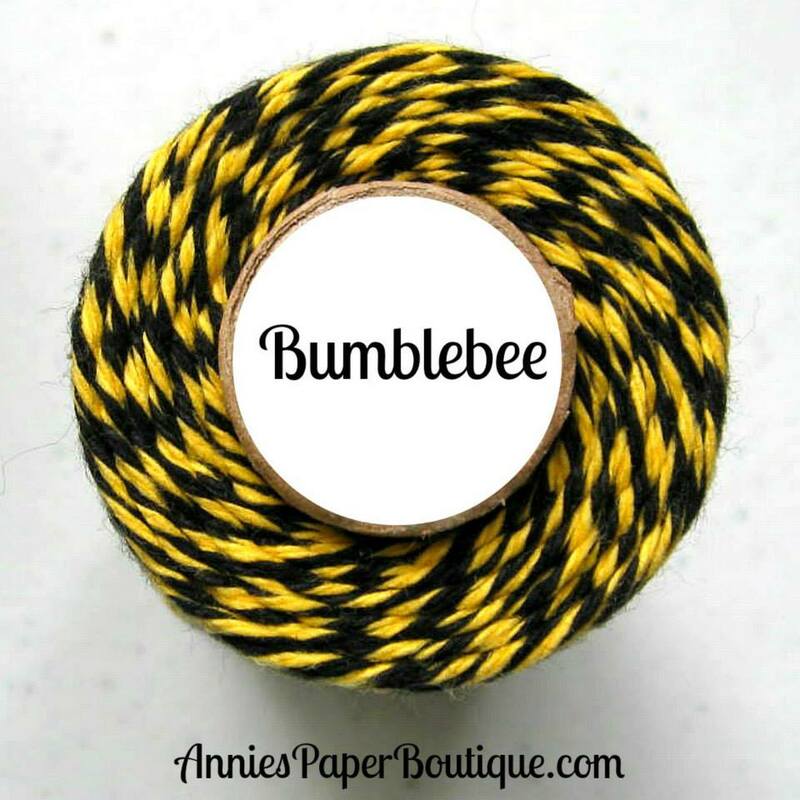 Love all the projects completed with the great stamps, cutting files and Trendy Twine!! Thank you for the freebies and the possibility to win!! Love these stamps. 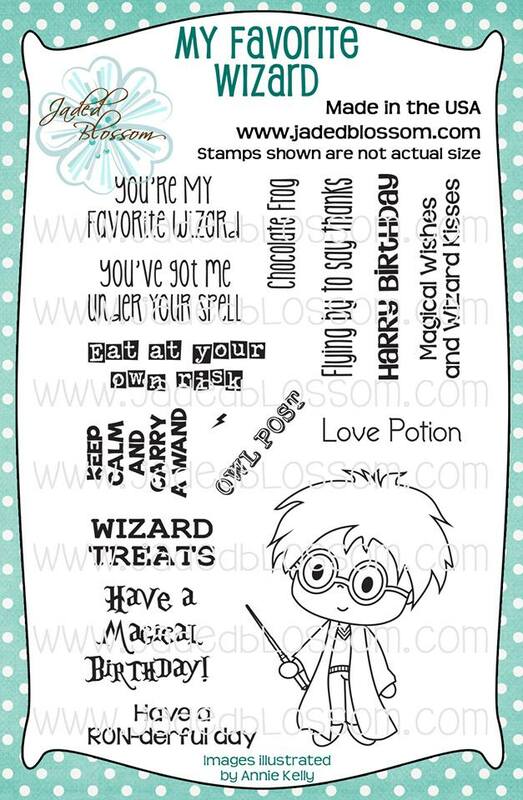 My niece and nephew are huge Harry Potter fans, and even though they are adults now, I am sure they would love cards and goodies using these stamps and free files. Thanks so much. This lil set is a cutie! I can see using this set alot. 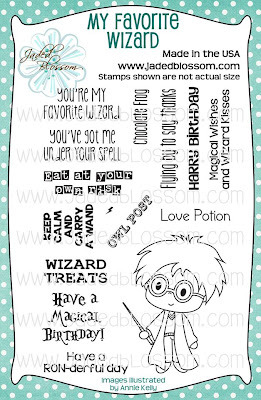 The stamps look great, especially the Boy Who Lived himself! I've been waiting for this all week . . . I love your blop hops! What a fun theme! Harry Potter and Wizards of Waverly Place have been part of our family for many years! Great idea! I'm so excited about this hop. My daughter love, love, loves Harry Potter. I can't wait to see what the design team has made. Can't wait!!! Love your stamps!! yeah finally!! I've been working all day and it was killing me not to be able to hop earlier!!! Bet this will be awesome!!! Great hop...thanks for the freebies...love the new release too!! So super adorable, off to do the hop now!! Yay!!! Very exciting - I've been waiting for this! OFf to hop and shop...Thank yoU! 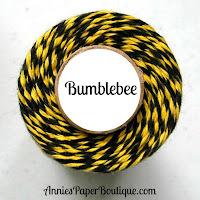 Thanks for the great blog hop and the chance to win. What cute and amazing projects! 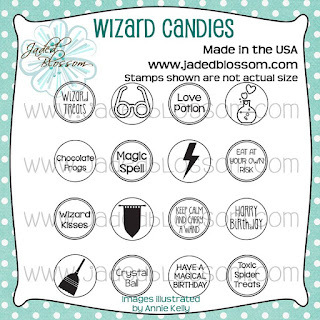 Love the Wizard Candies stamp set! Wow super cute!!! Off to the hop!! I'm back........what a great hop!!! Cute sets and great prizes! What great fun. I cant wait to start hopping. just finished this "magical" hop and loved it! your new stamps are AWESOME! What a terrific idea - ordered the set - love all the projects and the creativity is amazing!! this is going to be a great hop! can't wait! Love all your hops. Thanks for all the fun. Oh my way to hop. =) Cant wait to see the use of these stamps. i already love this and havent even started. Just completed the hop and boy I must say. You ladies did a wonderful job. I have HP's movies and you ladies bring back so many great points in the movie. This is by far a fav hop of the year. Very fun hop! And thank you to SVG Cutting files for the free cutting files. They are always appreciated! Love the wizards. Soo cute, can't wait to play. Ready to hop, hop, hop! Love these adorable stamps off now to hop!! I'm not a HP fan, but this is really a cute hop! How super cool! I LOVE LOVE LOVE Harry Potter! 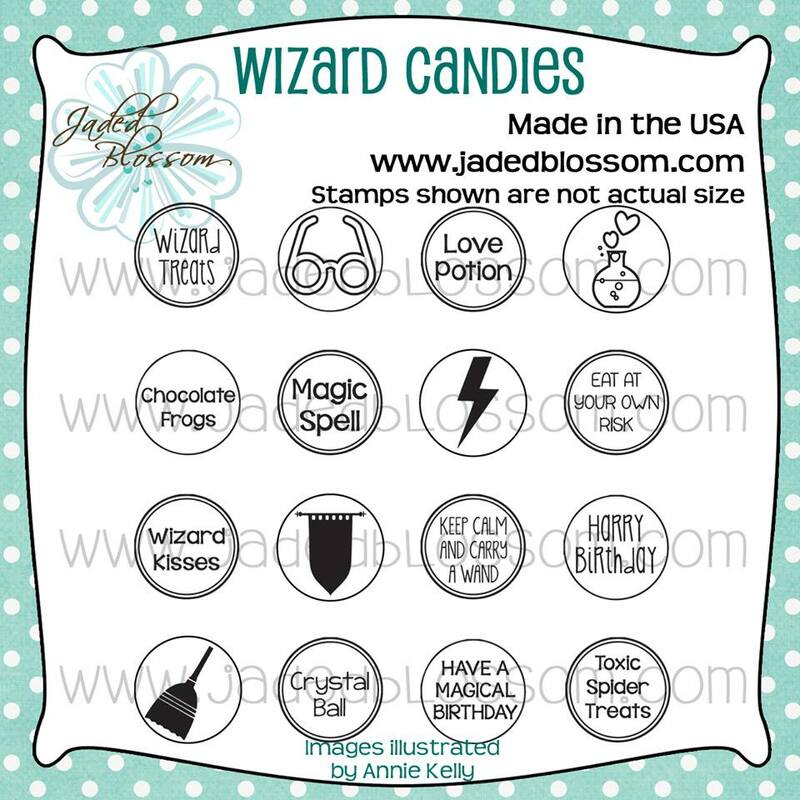 This is the first time I'm ordering Jaded Blossom stamps...so excited!! Super cute! Such adorable new stamps, these are just to cute!! Off to hop now!! These sets are so darn adorable! TFS. Love them. Late getting here but cant wait to hop and see what you all have created! !